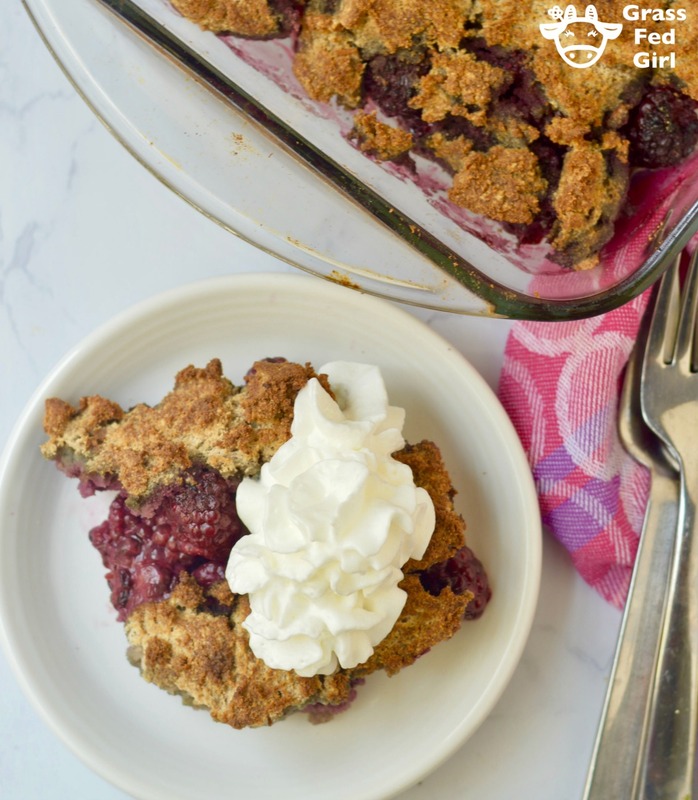 This Keto Blackberry Cobbler Recipe recipe comes from my 90 year old grandma who is totally on board with the real food/paleo movement after eliminating her arthritis symptoms. You can read more of her story here. This is the perfect desert to takefor family gathering so you won’t cave in and eat a Rice Crispy treat or Bundt cake. 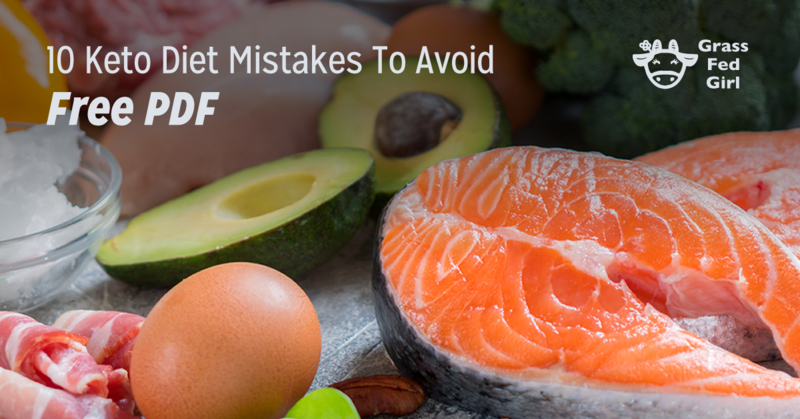 Go prepared with your paleo treat and people will be begging for your dish over the other processed cakes and cookies from the grocery. 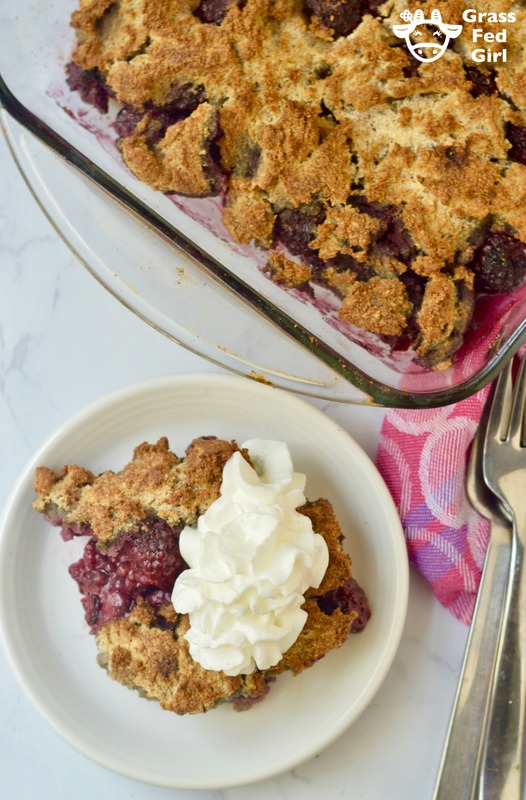 If you read my blog you know I have a hard time keeping sweets at my house so I advise you to make this and take it out to your family dinner so you don’t eat it all at once. 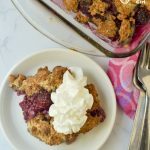 This Low Carb and Keto Blackberry Cobbler Recipe is so delicious and healthy way to satisfy your sweet tooth! Use an 8 x 8 glass baking dish that you have greased evenly with coconut oil. Place the blackberries in the pan evenly. Mix the eggs, sweetener, coconut milk, and vanilla in one bowl. Mix the coconut flour, baking soda, sea salt, cinnamon, and nutmeg in another bowl. Slowly pour the wet ingredients into the dry and stir until mixed together into a batter. 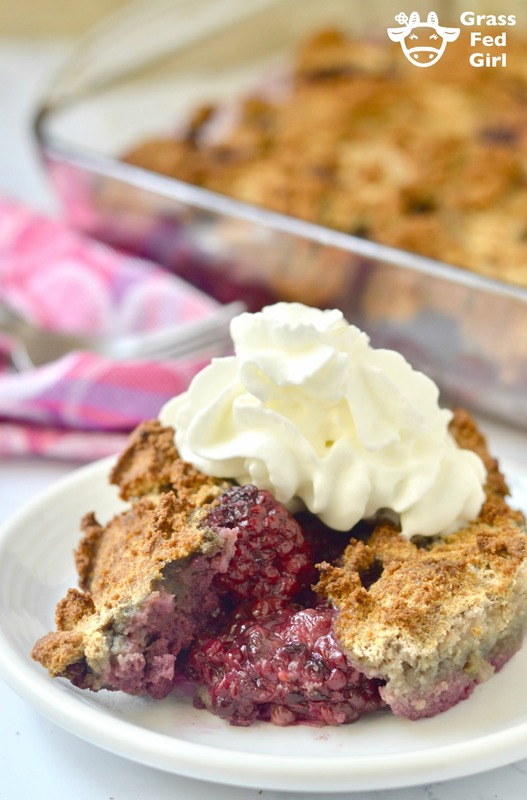 Spread the batter over the blackberries with a spatula until they are covered evenly. Bake on 325 for 25-30 minutes until it is nicely browned and set. Top with heavy whipping cream or some coconut milk, full fat when serving, if using.